This shocking and provocative question is at the core of the remarkable and inspiring book, One Last Talk: Why Your Truth Matters And How To Deliver It. 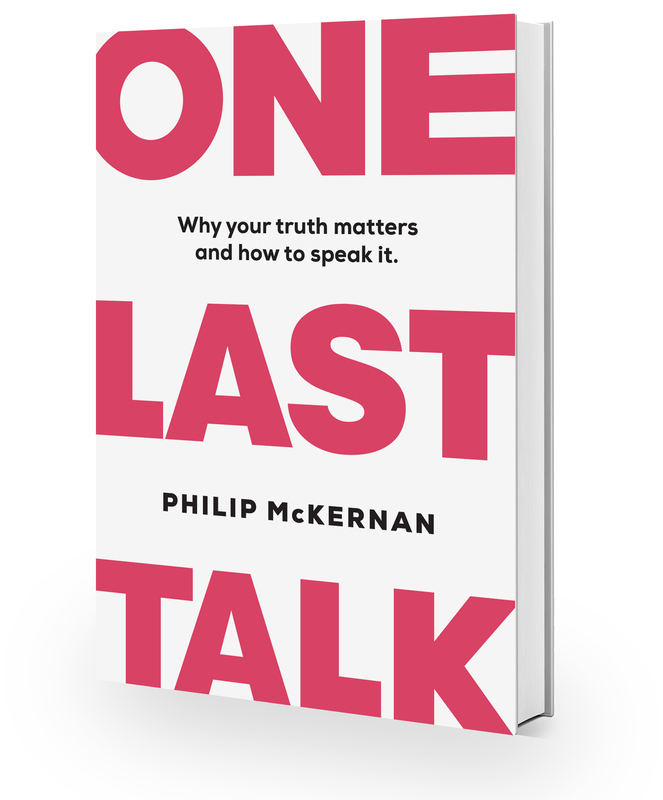 This book emerged from the speaking series designed to help people discover their truth, and then speak it out loud, developed by renowned coach Philip McKernan. In this book, McKernan goes beyond the event, and dives into what it means to discover your truth and speak it, why people should do this, and then deeply explains exactly how this can be done. If you feel living more authentically could allow you to have a greater impact on others, or you can’t find the words to speak your truth as boldly as you know you need to, this is the book for you. Make no mistake, the path McKernan lays out is simple, but not easy, because your greatest gift lies next to your deepest wounds. Buy in bulk & receive special bonuses!